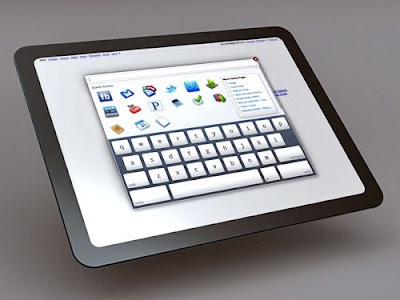 With the Apple iPad buzz going around, there can't be a better time to demonstrate the 'tablet' implications of Google Chrome OS. Google has not yet released this netbook centric OS yet, but they are constantly in the news with updates of their Chrome OS. You may also want to watch this awesome first glimpse video on Chrome OS UI. With the market leader, Microsoft, not having even one credible OS in the netbook or tablet range, one should be literally sleeping not to see the tremendous opportunity. As we all know, Google is the industry name for innovation. With the introduction of Android OS, Google has made its intentions rather clear. There are no free meals, Microsoft. 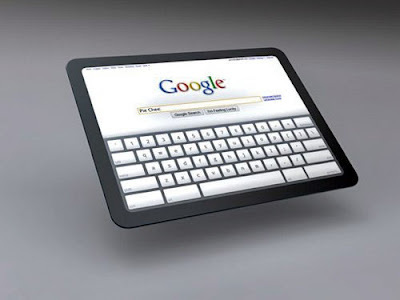 Google Chrome OS is yet another step in the right direction for Google and is indeed beneficial to everyone around. We all know how light weight Google Chrome Web Browser is. It was and still is a true game changer. So, an OS based on the Chrome Web Browser must be light weight after all. That is a welcome news for netbook and tablet users. When the Google Chrome team suggests that a 5" to 10" screen in optimum for Chrome OS, one could easily understand the direct implications of Google Chrome OS on netbooks/tablets/MID's etc. With the kind of UI's shown in the video and with Google's inherent strength in making products that stands out, you have got an iPad killer at hand. With so many big players coming into the OS space, the ultimate winner is going to be YOU, the user. Truly, some really interesting times lies ahead. Watch this space.